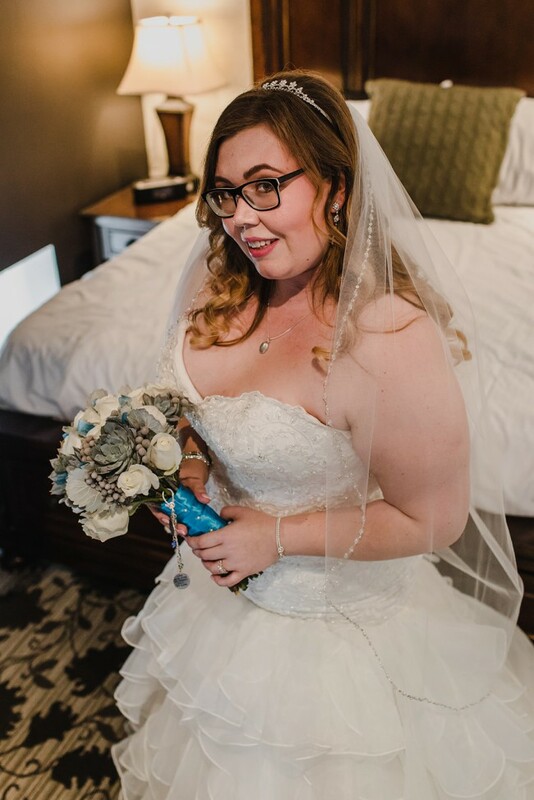 Purchased the dress in March of 2017 from Marilee's Bridal in Fonthill. Worn the dress for my wedding on September 22, 2018 (worn for 12 hours approximately. The dress comes in a dress bag that I also paid for separate from the cost of the dress. Alternations are also separate from the original price of the dress purchase. This dress is so beautiful and it really is flattering. I love all the sparkles and the corset back allows to tighten and loosen when needed. It has a train that is long but not too long and even with the bustle up there is still a little train. The dance floor pictures the bustle was up. The city says Toronto but I am also available in the Niagara Region.